It seems as though I am forever buying butter. 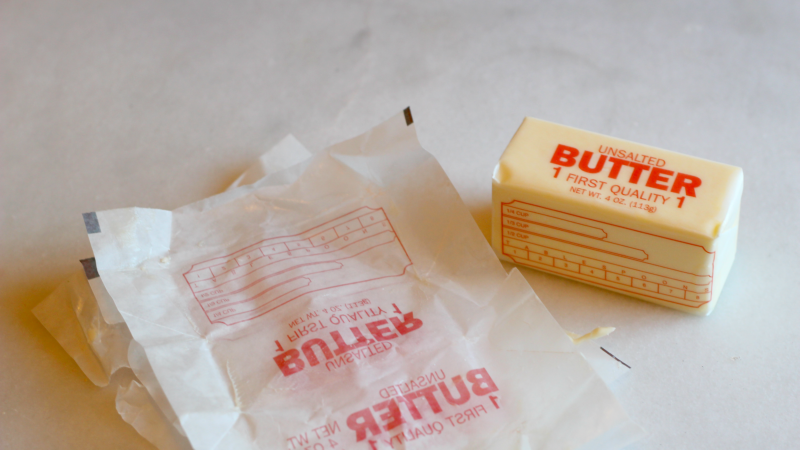 I'm not complaining at all — having a lot of butter around makes me feel warm and safe — but I often find myself unwrapping a lot, depending on the type of projects I have going on. Light pan frying: Rubbing a butter wrapper around a frying pan will give it just a bit of grease, perfect for light pan-frying or sauteing. Separating food: All sorts of frozen foods — from baked goods to burgers — can be kept from sticking together through the use of butter wrappers. This applies to all butter wrappers, but it is especially true for those that you peel off room-temperature butter; you can practically butter a piece of toast with those guys. In fact, you probably should.